Williams-Keepers Accounting Office - PWArchitects, Inc. 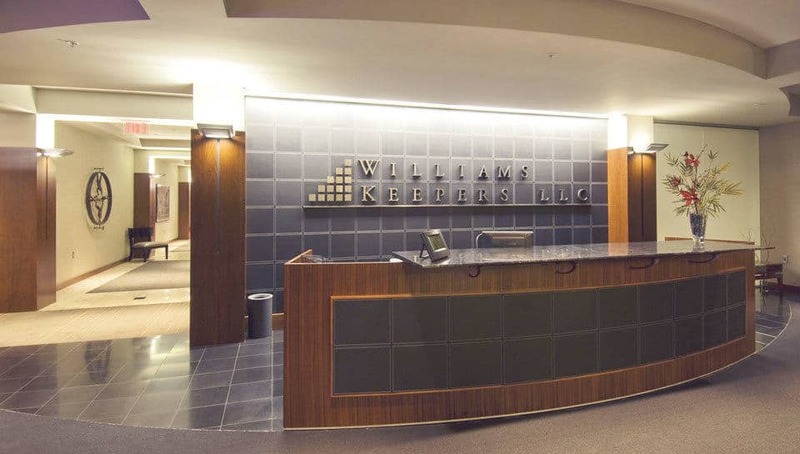 The new Williams-Keepers office, prominently located in a two-story office building in Columbia, Missouri is an approximately 20,000 square foot build-out of a shell space. 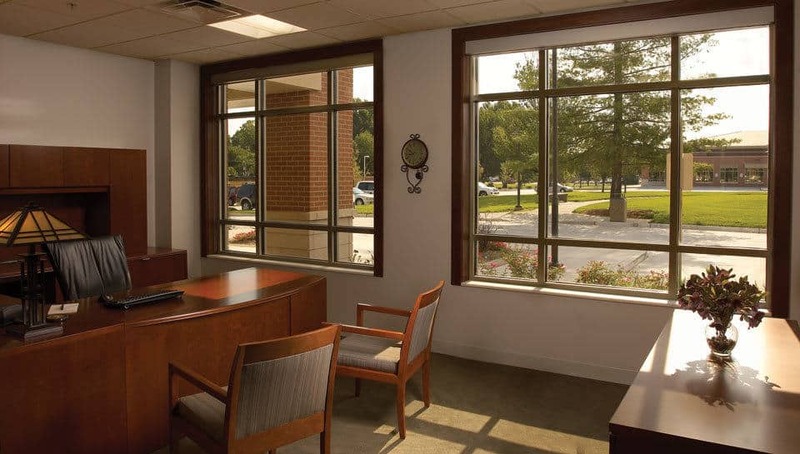 PWA worked closely with the client to determine their space needs which were not readily known. Having grown out of their three-level building, it was necessary that their new space would be all on one level, have a more efficient layout and allow for some areas to be reduced and consolidated. The plan for a more efficient space offered the firm room to grow while minimizing the amount of overall leasable square feet. A key challenge for the area was bringing natural lighting to the interior spaces since the only windows for the deep shell building were on the perimeter. To have light penetrate the interior core of the area, the fronts of the perimeter offices were partially glassed. Also, the main areas in the offices were interrupted with a small meeting space opening up to the interior creating interior corridors with windows at their crossings. The existing building’s ceiling heights presented another challenge. The solution was to custom-design the duct work to run in certain areas so that ceiling height could be maximized. The layout of the shell space is rectangular with the main entry at the center of the longest side opening out to a client core space. This space was outfitted with upgraded finishes while the outer third of the area, designated for the owners and staff, was equipped with a more modest level of finish for everyday work use. 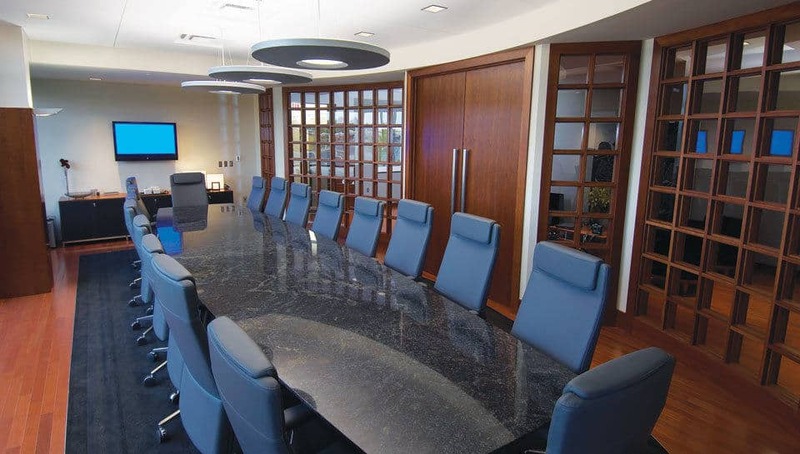 The Boardroom of the Williams-Keepers office is partially glassed to allow light to penetrate into the interior of the office space.The result is a space that reflects a successful and sound image for the business.